If you’re looking for a gap year that’s big on the thrill of discovery, Cambodia could be the place for you. 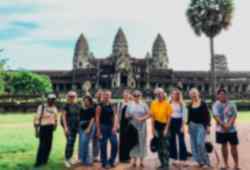 The terrible regime of Pol Pot and the Khmer Rouge is long gone, but the country is still developing as a tourist destination and that means you have the feeling of treading new ground. There’s all the Far East adventure you could want here, whether by jungle, mountain, forest or beach, and at the heart of it all is the temple complex of Angkor Wat, a wonder of the world. 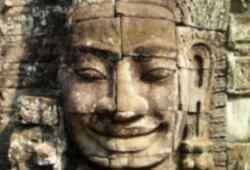 Cambodia is an exotic, newly opened culture, so adventure travel comes with an extra frisson here. To the north-east there’s a wilderness of waterfalls and craters that have been little changed in thousands of years, to the south-west are the jungles and mangroves of the southern Cardamom Mountains, where new activities such as kayaking and canopy walks are being set up all the time. You can take a boat down the fabled Mekong River in search of freshwater dolphins or follow its course by motorbike. And when you head for Angkor Wat, you can arrive by bamboo train from Battambang. 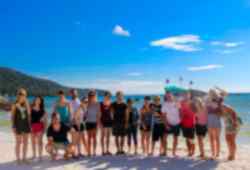 You can explore Cambodia on a tight budget, so it’s great for student travel. 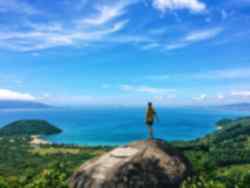 There are activities to suit almost any taste, too, from the beach life on the modestly developed islands to the nightlife in Sihanoukville, the busy streets and markets of the capital Phnom Penh to the temples that have seen centuries go by. And then there’s the vine-tangled magnificence of Angkor Wat, the world’s largest religious building, a testament to human skill that has been half-reclaimed by nature. 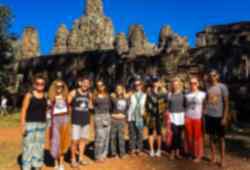 Cambodia will bring you experiences that will stay with you for a lifetime, but there’s much you can give to a developing country like this; volunteer work on offer includes youth development in the cities, teaching and helping disadvantaged children.